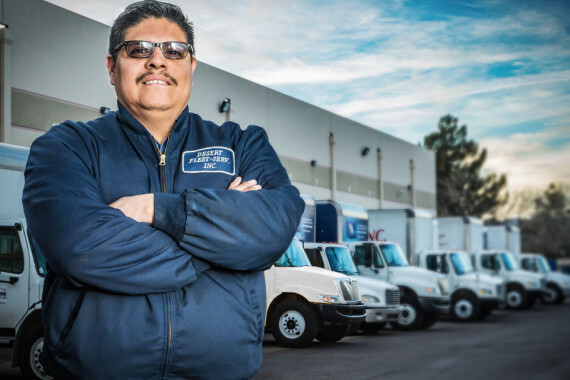 Desert Fleet-Serv offers a full range of on-site commercial fleet services in the Phoenix metropolitan area. 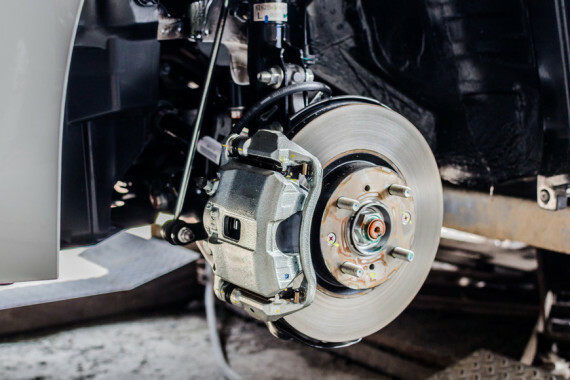 All mechanical services are performed by highly qualified and certified technician. We understand how important keeping your trucks in full operating and safe condition is to the success of your organization. 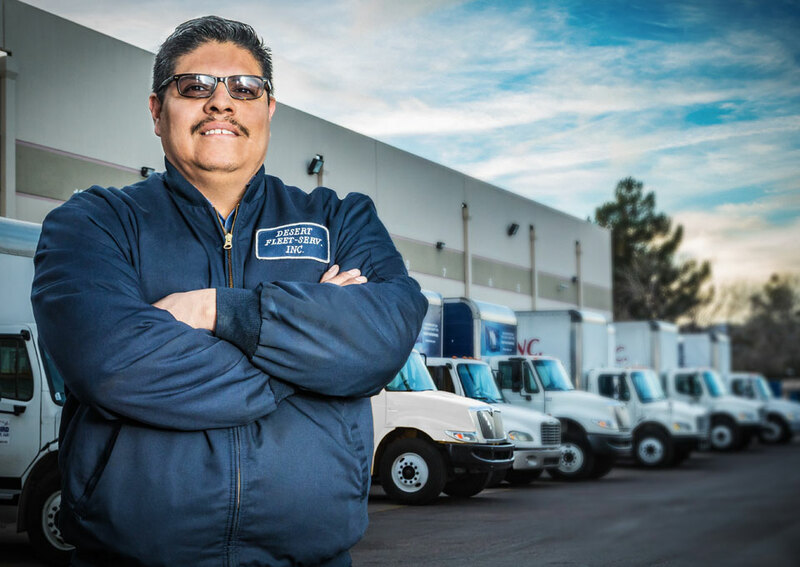 As pioneers in the mobile on-site fleet repair business, Desert Fleet-Serv has 21 years of bringing our services to our customers’ place of business. Since 1995, Desert Fleet-Serv has specialized in providing on-site commercial fleet maintenance to businesses operating fleets of diesel trucks and trailers. The flexibility of day and evening service means your trucks will be on the road at the most important time; during your customer’s business/receiving hours. DFS’s highly trained, experienced and ASE Certified technicians can handle the most difficult repairs, at your location. The fleet management software gives our customer’s peace of mind knowing that Preventative Maintenance and FHWA DOT’s are on a planned schedule with electronic email reminders. Experience the Desert Fleet-Serv difference. Call 602-437-7231 or email sales@desertfleet-serv.com to schedule a fleet analysis consultation. "I just wanted to thank Desert Fleet-Serv for providing really good service and mechanics who do a great job. It’s really nice to have a company that I can trust to work on our trucks without milking me for unnecessary repairs." "I just want to say thank you for all that you do. You make the whole process streamlined and smooth. Most of my vendors tend to make it harder than it should be so I just want to let you know my appreciation for being reliable and attentive to our needs. I know it isn’t always easy to accommodate." "From a safety point I know that my trucks are driving down the road mechanically sound. I like feeling as though I am your most important and only customer. The lines of communications are great." DO YOU LIKE WHAT YOU SEE?CONTACT US TODAY! Since 1995, Desert Fleet-Serv has specialized in providing on-site mobile fleet services and repairs. DFS business practices incorporate what our customers care about most, getting their equipment up, running and safely driving down the road to deliver their products or services. Big enough to handle, small enough to care. 7028 W. Van Buren St.